Japan and China have been rivals for more than a millennium. In more recent times, China was the more powerful until the late nineteenth century, while Japan took the upper hand in the twentieth. Now, China's resurgence has emboldened it even as Japan perceives itself falling behind, exacerbating long-standing historical frictions. 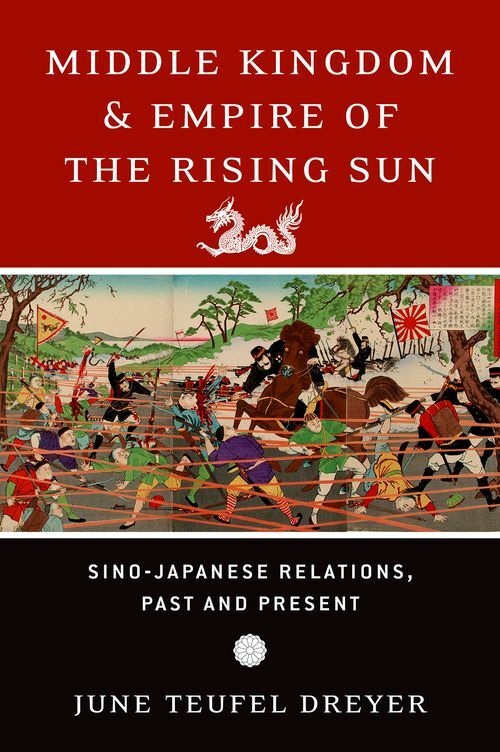 June Teufel Dreyer's Middle Kingdom and Empire of the Rising Sun provides a highly accessible overview of one of the world's great civilizational rivalries that ranges from the seventh century to the present. Beginning in the mid-nineteenth century, the shrinking distances afforded by advances in technology and the intrusion of Western powers brought the two into closer proximity in ways that alternately united and divided them. In the aftermath of multiple wars between them, including a long and brutal conflict in World War II, Japan developed into an economic power but rejected militarism. China's journey toward modernization was hindered by ideological and leadership struggles that lasted until the death of Mao Zedong in 1976. The final part focuses on the issues that dominate China and Japan's current relationship: economic rivalry, memories of World War II, resurgent nationalism, military tensions, Taiwan, the Diaoyu/Senkaku Islands, and globalization. Dreyer argues that recent disputes should be seen as manifestations of embedded rivalries rather than as issues whose resolution would provide a lasting solution to deep-standing disputes. For the paperback edition, she has added a new afterword that takes readers up to the present day. June Teufel Dreyer is Professor of Political Science at the University of Miami. Formerly senior Far East specialist at the Library of Congress, she has also served as Asia policy advisor to the Chief of Naval Operations and as commissioner of the United States-China Economic and Security Review Commission established by the U.S. Congress. Professor Dreyer has published widely on the Chinese military, Asian-Pacific security issues, China-Taiwan relations, Sino-Japanese relations, ethnic minorities in China, and Chinese foreign policy.